In an appearance on ‘Stone Cold’ Steve Austin’s podcast, Jim Cornette revealed that one of the case studies he advised students at OVW to look into for cutting a good promo was the Ole Anderson interview, conducted for Georgia Championship Wrestling after ‘The Big Turn of 1980’. Opening with Ole speaking with Gordon Solie in front of an angry audience screaming “We don’t want to hear it” – Anderson badmouths Ron Simmons and gloats over his betrayal or outfoxing of Dusty Rhodes in a cage match that resulted in ‘The American Dream’ being trapped and attacked by Ole Anderson, Gene Anderson, The Assassins and Ivan Koloff. Anderson begins by telling Dusty, quoting the man’s own words, that the animosity between the two of them would “never be over” as Ole publicly basked in the glory of his actions. 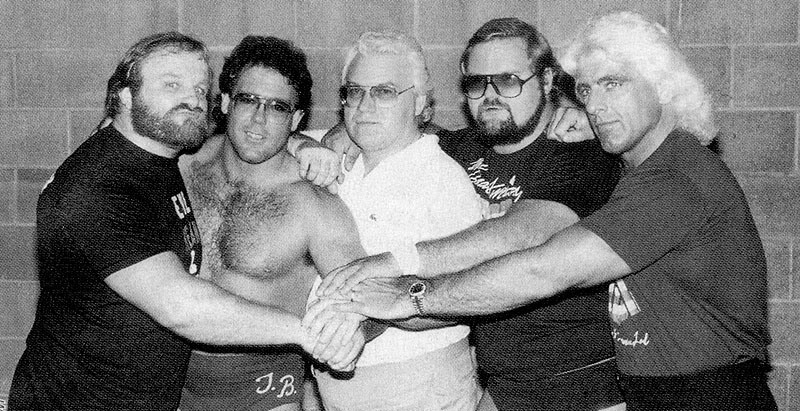 After over a year of Anderson teaming with fan favourites and the good guys, it was revealed that he only did it in order to get closer to Dusty Rhodes’ inner circle so that he could exact his revenge. Unlike many turns in wrestling today, where the moment is dragged out in an almost ‘shall I turn?’ fashion every time, Anderson entered the ring when tagged and immediately turned around and started attacking his tag-team partner. Furthermore, after the deed was done, Anderson did not open his promo with the done to death line “everyone wants to know ‘Why?’ I betrayed [insert wrestler’s name here]” and instead, got straight to the point by explaining his actions. Anderson reminds, everyone by talking over a clip showing Dusty Rhodes’ past comments towards him, stating that their hatred for one another would never be over, something Ole kept in mind long afterwards. He reveals that, “I plotted and I planned, it took me almost a year and a half” but then Ole was able to achieve his goal of viciously and brutally attacking Rhodes, only a short while after gaining his trust to team alongside him. Rhodes even trusted Anderson’s suggestion: “how about a fence Dusty?” believing that Ole was only out to even the odds and prevent any interference into the battle with The Assassins. This ultimately led to ‘The American Dreams’ downfall, in a scenario that almost befits a bizzaro version of Daniel Bryan exacting revenge on Bray Wyatt from early in 2014 (however, that feud was not given a year and a half to allow the tension to build or the believability to seep in, rather it was abruptly forced to an end a few weeks after Bryan’s apparent embrace of The Family). Ole reveals that for that year and a half period he had to stand there listening to Gordon Solie’s smart-alecky comments, a painful event he no longer has to endure as he can reveal that his good intent was simply a façade. The entire interview has Ole come across as bitter, arrogant and completely convincing while the nature of the interview itself and the events that have occurred allow the heated past between Dusty and himself to resurface naturally and starts the build for Rhodes’ eventual comeback and quest to seek revenge against The Minnesota Wrecking Crew, Gene and Ole Anderson, The Assassins and Ivan Koloff. Article originally written for Wrestle Talk TV HERE, published in February 2014.